WAUKEE, IA — AgriSync announced that it has been selected to pitch at the AgLaunch Startup Station during the 66th annual Mid-South Farm & Gin Show, scheduled for March 2, 2018 at the Cook Convention Center in downtown Memphis, Tenn. As a leading accelerator program, AgLaunch develops agtech startups, creates value-chain companies, builds collaborative farmer networks and addresses gaps in the regional food and ag innovation ecosystem. AgriSync is a communication platform connecting farmers with their trusted experts. 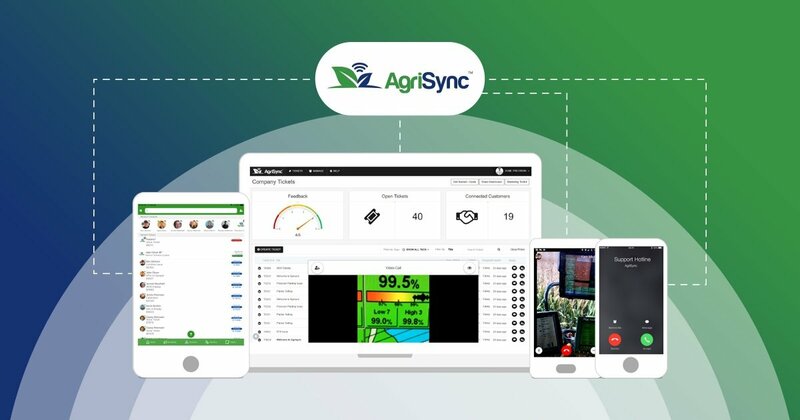 AgriSync helps agriculture experts to easily see, solve, and track support issues and proactively educate their customers in a mobile-first, video-first manner on any device. With AgriSync, experts deliver better service to their farmer customers at a fraction of the cost while helping farmers maximize uptime and accelerate their adoption of essential innovations. Through its participation in AgLaunch’s ecosystem, AgriSync will make its system available for other AgLaunch startups and the AgLaunch Farmer Network for collaboration during field trials and other early adoption efforts in 2018. Investment Pitch Session #1: 10:30 a.m.-12:00 p.m.
Investment Pitch Session #2: 1:30 p.m.- 3:00 p.m.
AgriSync, Inc. makes cloud-based software for mobile collaboration and customer support in agriculture. The company's AgriSync® software is licensed to OEMs and distributors serving farmers, allowing those businesses to easily see, solve, and track support issues and proactively educate their customers in a mobile-first, video-first manner on any device. With AgriSync, experts deliver better service to their farmer customers at a fraction of the cost while helping farmers maximize uptime and accelerate their adoption of essential innovations. Further information is available at www.agrisync.com.